You send me showers of verses, which I receive with much pleasure, as do we all; yet have we fears that this employment may seduce you from the path of Science, which you seem so destined to tread with so much honour to yourself and profit to others. Again and again I must repeat, that the composition of verse is infinitely more of an art than men are prepared to believe, and absolute success in it depends upon innumerable minutia, which it grieves me you should stoop to acquire a knowledge of. With these carefully chosen words, William Wordsworth may have pursuaded one of our most accomplished mathematicians and physicists to relegate his passion for poetry to a hobby, in order to devote his life to science. William Rowan Hamilton, born at 29 Dominick Street, Dublin at midnight on 4 August 1805, was a true polymath. His remarkable observations reshaped his fields of interest and have impacted profoundly on our modern world. A precocious child, he outshone his peers in every discipline, an achievement made all the more impressive given his Aunt Sydney’s observation: ‘How he picks up everything is astonishing, for he never stops playing and jumping about’. Little Willy Hamilton was three years old at the time. By the age of five he was proficient in Hebrew, Greek and Latin. At thirteen, he had a working knowledge of thirteen languages, among them Syriac, Persian and Arabic. By then, young Hamilton had turned his attention to mathematics and physics, a passion sparked when, aged twelve, he was pitched against thirteen-year-old American mathematical prodigy Zerah Colburn in a public display of numeric ability, during which Hamilton came off slightly worse. Hamilton entered Trinity College, Dublin at the age of eighteen and excelled in maths and physics. He also composed poetry that was judged worthy of receiving the Vice-Chancellor’s prize for verse on two occasions. In ‘The Enthusiast’, Hamilton laments his doomed love for Catherine Disney, a disappointment that brought him to the brink of suicide, and honours his twin passions: astronomy and poetry. Aged twenty-two and while still an undergraduate, he was appointed Andrews Professor of Astronomy and Royal Astronomer of Ireland, yet his new responsibilities did not displace his love for poetry. Books of verse lay all around his home at Dunsink Observatory, ‘as often open as shut’; he listed his favourites as Wordsworth, Coleridge, Shelley and Keats. Three months after his elevation to Astronomer Royal, while on a walking holiday in the Lake District, Hamilton was introduced to William Wordsworth. In a letter to his sister Eliza, also a poet, he expressed his admiration for the master, ‘with whom I spent the evening – I might almost say the night – of yesterday, for he and I were taking a midnight walk together for a long, long time without any companion except the stars and our own burning thoughts and words’. He also met Robert Southey, who characterised him as ‘the young professor of astronomy, who is so fond of the stars and so full of life and spirits’. By all accounts, Hamilton was a very personable man. His biographer Robert Perceval Graves confirmed that ‘smiles and witticisms gleamed and bubbled on the surface of the deepest current of discussion’. Little wonder Wordsworth was drawn to this ebullient young man more than three decades his junior: ‘seldom have I parted – never, I was going to say – with one whom, after so short an acquaintance, I lost sight of with more regret’, he assured his new friend, adding, ‘I trust we shall meet again’. Graves overheard Wordsworth describe Hamilton and Coleridge as ‘the two most wonderful men, taking all their endowments together, that he had ever met’. Hamilton was overwhelmed by the beauty that surrounded Wordsworth’s home. Although he had hoped to gather ‘materials of thought and images of memory’ to sustain him for many years, he found instead that his mind was ‘too thickly crowded’. One playful image he shared with Eliza describes a valley filled with mist: ‘it seemed as if I could have thrown myself off into that sea of vapour and sported there, free from all risk of sinking’, he declared. He expressed a longing to live by the side of a beautiful rill, but only if he could bring his observatory with him. Your verses are animated with true poetic spirit, as they are evidently the product of strong feeling. The sixth and seventh stanzas affected me much, even to the dimming of my eye and faltering of my voice while I was reading them aloud. Yet his praise was qualified: ‘the workmanship (what else could be expected from so young a writer?) is not what it ought to be’, he counselled. Of Eliza’s poems, he declared: ‘they are surprisingly vigorous for a female pen’. While grateful for the ‘kindness and freedom’ of Wordsworth’s criticism, Hamilton acknowledged that excellence in two such disparate disciplines would be almost impossible to achieve, and he lamented ‘the little likelihood that there is of one so devoted to Science as myself ever attaining a high place in the ranks of poetical composition’. Yet, keen to make a case for his principal passion, he insisted: ‘Science as well as Poetry, has its own enthusiasm, and holds its own communion with the sublimity and beauty of the Universe’. Wordsworth visited Ireland at Hamilton’s suggestion towards the end of August 1829. Eliza, meeting the great poet for the first time, thought him a ‘naturally very reserved man’ with a ‘slight touch of rusticity and constraint about his perfect gentlemanliness of manner’. Her reminiscence ‘Wordsworth at the Observatory, Dunsink’ provides an insightful pen-portrait: ‘Everything he did and said had an unaffected simplicity and dignity and peacefulness of thought that were very striking’, she declared. Discussions between Hamilton and Wordsworth continued to excite doubt that both disciplines could be pursued successfully. Realising that he possessed ‘original power of mathematical thought’, Hamilton believed this imposed ‘a duty and a destiny, a task while I live, an influence after I am dead’. Science won out. With all the real differences between Poetry and Science, there exists, notwithstanding, a strong resemblance between them; in the power which both possess to lift the mind above the dull stir of earth, and win it from low-thoughted care; in the enthusiasm which both can inspire, and the fond aspirations after fame which both have a tendency to enkindle; in the magic by which each can transport her votaries into a world of her own creating; and perhaps, in the consequent unfitness for the bustle and the turmoil of real life, which both have a disposition to engender. 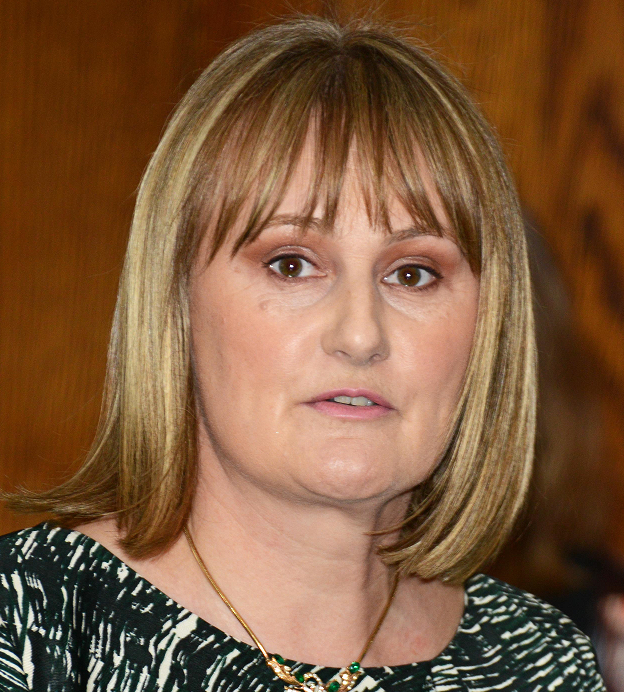 Eleanor Fitzsimons is a freelance journalist and researcher. 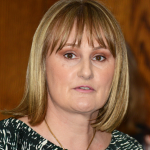 Her work has appeared in publications including, The Irish Times, The Sunday Times, History Ireland and The Guardian, and she has researched documentaries for the Irish national broadcaster, RTÉ. She has an MA in Women, Gender and Society from University College Dublin. In 2013, she won the Keats-Shelley Prize and was runner-up for the Biographers’ Club Tony Lothian Prize with ‘A Want of Honour’, her proposed biography of Harriet Shelley. She is represented by the Andrew Lownie Literary Agency.